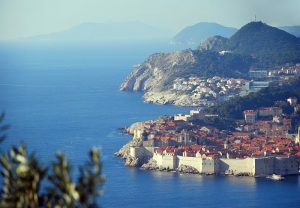 The currently untitled 25th James Bond film could be shot partially in Dubrovnik. The local Mayor’s office has announced that negotiations are currently underway to bring the high-profile feature to the Croatian capital, and a presumably large production spend with it. Speculation surrounds the upcoming film, which will be the first Bond since 2006’s Casino Royale without Sam Mendes in the Director’s chair. Similarly, Daniel Craig has yet to confirm whether or not he will return to portray the iconic British spy. Previous Bond Producers, Barbara Broccoli, Gregg Wilson and Michael G. Wilson have all returned for the project. Croatia currently offers a 20% cash rebate to feature films, television series, documentaries and animated projects that incur an eligible minimum spend in the country. Despite initially being approved until December 2019; the future of the incentive is now uncertain after the resignation of Hrvoje Hribar – former Head of the Croatian Audiovisual Centre. Detailing the current state of the Croatian economy, Hribar explained that the new state budget doesn’t accommodate for the incentive, meaning that it could be made redundant due to lack of funding. The incentive has proved popular however with international productions, as Dubrovnik recently hosted the filming of Star Wars: The Last Jedi and Robin Hood: Origins, the latter of which reconstructed the English town of Nottingham along a local beach. James Bond films are famous for their use of grand locations worldwide, adding to each film’s sense of global espionage. Spectre, for example, was filmed in Austria, Morocco, Mexico, Italy and the UK. With a number of new film incentive programmes now running in countries such as Finland, Thailand and China, the list of potential locations for Bond to visit is now larger than ever before.